A retired taxi driver takes a chauffeuring job to pay debts and receives an unexpected gift from a mysterious passenger. A Shaolin kung fu school master finds an unorthodox way to channel the creative energies of a recalcitrant student. A fugitive who seeks redemption in a Buddhist temple learns his fate rests in the hands of a novice monk. Three cattle station hands find themselves out of their depth when a bull hunt turns awry. 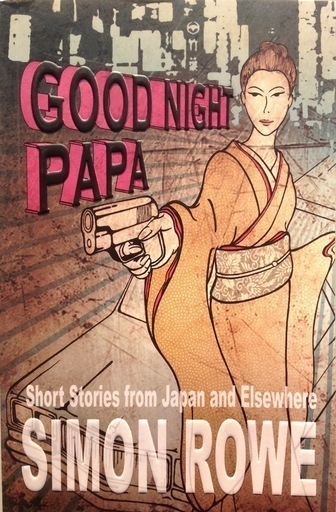 A young man ventures into Osaka's red light district seeking answers to his deceased father’s life after dark. Amidst a tropical storm, a coconut farmer takes refuge in a jungle cavern and discovers the fate of his Japanese wife’s father who went missing during the war. A recovering alcoholic mail pilot crashes his plane in the desert with a bottle of gin on board. A business traveller becomes an unwitting audience for a Vietnam War veteran when he is forced to spend three days on a resort island. Asked to mind his uncle’s Tangier curio shop, a young boy inadvertently sells a family heirloom to a tourist. He must find the buyer and get it back. When an enormous python terrorises a beach resort in Bali, only one man has the ability and business acumen to turn the problem into a tasty success. A canny restaurant waitress uses her wit to both rid her resort town of seaweed and have her husband released from prison. A snobbish European widow must enlist the help of local cannery workers when an oversize family heirloom arrives by ship from New Zealand. A man tries to add value to a family heirloom he hopes to pawn by telling the story of his uncle’s life. Two rival gangs with plans to demolish an old neighborhood are brought to their knees by a barbershop full of ninja. Suspicions rise to dangerous levels among patrons of a village cafe-bar when a stranger appears in their midst. An elderly boatman recalls a passage of doom and disaster into the heart of Borneo.